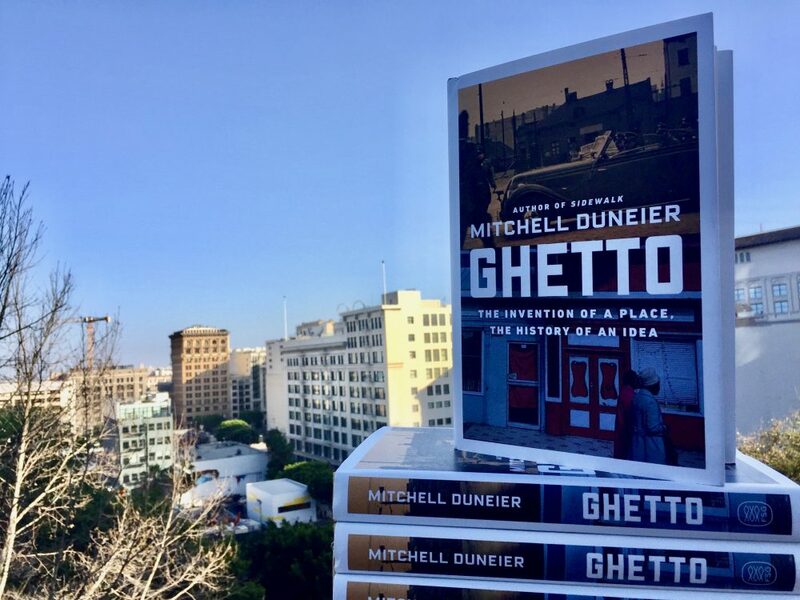 Mitchell Duneier, author of Ghetto: The Invention of a Place, the History of an Idea and a sociologist at Princeton University, is the winner of the seventh annual Zócalo Book Prize. Duneier traces the ghetto from its 16th-century origins—when the Jews of Venice, Italy were forced to live in il ghetto—to Nazi Germany and America today. Duneier shows how the idea of the ghetto has become unmoored from its history, and how the work of 21st-century social scientists can shine a light on the ways we understand, misunderstand, and try to solve urban poverty and institutional racism. His dexterous storytelling and careful investigation provide much-needed perspective on one of the most persistent problems in American society, and inform our selection of Ghetto as the year’s nonfiction book that most enhances our understanding of community and the forces that strengthen or undermine human connectedness and social cohesion. This is also at the heart of Zócalo’s mission and why we continue to recognize authors who investigate and celebrate how and where humans find common ground. Our Book Prize and our annual Poetry Prize both recognize those who search for and illuminate these places, be they geographical, ideological, or metaphorical. 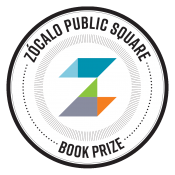 As the winner of the Zócalo Book Prize, Duneier was awarded $5,000, which he generously donated back to Zócalo to be used in pursuit of our mission. Duneier will receive his award and deliver a lecture, titled “Will We Ever Eliminate Ghettos?” in Los Angeles on Friday, May 12. Please see more details on the event, at the Museum of Contemporary Art, here. In advance of his visit, we asked Duneier about his book and why we need it now. Q: Why did you choose to use scholars and thinkers as your way into the story of the ghetto? A: Social scientists have been enormously influential in our understanding of the U.S. ghetto, and likewise the very term, “ghetto,” embodies some of the most brilliant work in the history of the social sciences. I focus on scholars like Kenneth Clark, William Julius Wilson, Horace Cayton, St. Clair Drake, and Gunnar Myrdal. These were fascinating thinkers and people who showed what the ghetto meant for the times in which they lived. Much of their work is completely forgotten, or read outside of the historical context in which it was written. Q: Why is the term, “ghetto,” and its history important in this particular moment? A: In the U.S., the ghetto never fails to be central to manifestations of racism, whether contemporary or historic. In the social sciences, the word, “ghetto,” has long symbolized housing inequality and racial residential segregation. But the term and its long Jewish history also tells a story about the extremes of semi-flourishing and social control that can manifest under conditions of spatial restriction. Understanding the history of the Jewish ghettos highlights the urgent fact that black ghettos today are characterized by much more social control by outside forces than ever before, and less human flourishing. When you study the history of the Jewish ghetto from 16th century Venice though the Nazi era, these variations in both control and semi-flourishing come into bold relief. Q: Your book doesn’t make recommendations about policy or give easy answers. But what one thing can America or Americans do right now, either at a government, community, or individual level, to fight urban poverty? A: The book is an extended argument against a longstanding American tradition of seeing the ghetto as a problem with one-shot solutions or quick fixes. At different moments in its history, the country has become fixated on solutions like changing the black family, or fixing a supposedly ingrained culture of poverty, or improving urban education, or jobs, or racism. But ghettos are the intergenerational expression of a series of vicious cycles within the realms of education, work, family life, and violence—all feeding on one another in a spatial context. A reversal of these vicious cycles is unlikely unless the country radically changes its commitments to low taxation and massive investment in military spending. And even the results of such transformations would take generations to unfold. There are no quick fixes in the here and now. Q: What do you think your book teaches us about social cohesiveness and human connection? A: That there is much less of it in America than many whites would like to believe. Part of the book is an effort to trace the history of America’s conception of its own morality vis-à-vis the institution of the ghetto. There is a long tradition of influential thinkers arguing that the problems of the ghetto would take care of themselves because white Americans ultimately wanted to live up to the ideals enshrined in the constitution and the Bill of Rights. Other social scientists have been far more cynical, arguing that whites only act on behalf of others when it is expedient to do so. Duneier joins a distinguished list of previous Zócalo Book Prize winners: MIT science and technology scholar Sherry Turkle, Harvard political philosopher Danielle Allen, MIT Center for Civic Media director Ethan Zuckerman, New York University social psychologist Jonathan Haidt, London School of Economics and New York University sociologist Richard Sennett, and journalist Peter Lovenheim. Zócalo thanks this year’s panel of judges: Friends of NPR Berlin co-founder Karen Roth, Wilson Center executive vice president Andrew Selee, Wharton Sports Business Initiative director Ken Shropshire, MIT’s Zuckerman, and Zócalo publisher and founder Gregory Rodriguez. Primary Editor: Sarah Rothbard. Secondary Editor: Sara Catania.